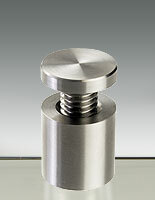 The fasteners are made of aluminum which has been machined for a secure hold. 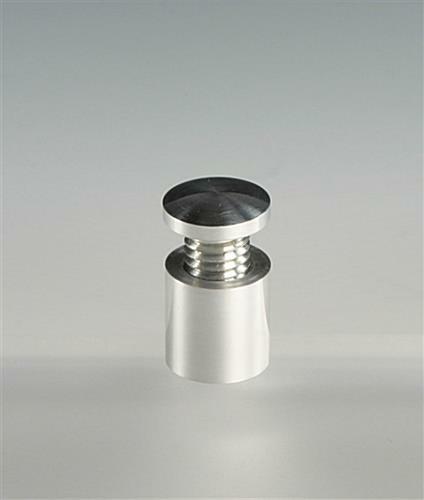 Spacers with a finish that is polished provide an eye-catching appearance for clients! 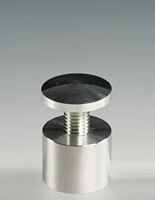 The smaller 5/8" diameter of the spacers is great for mounting signs of small size. 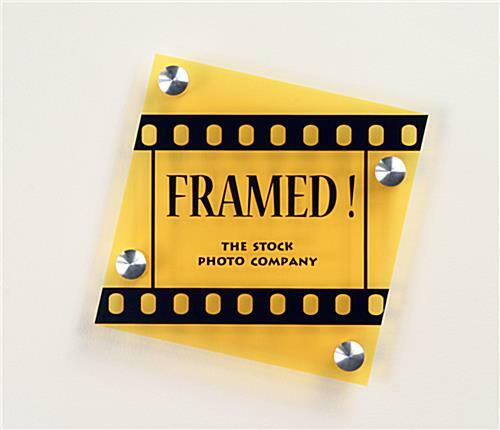 A standoff, called an award mount or panel support, can make even the simplest of plaques look like something really special. 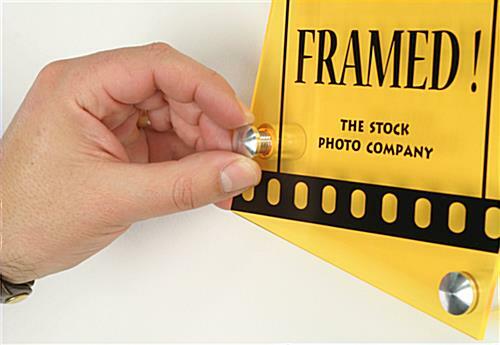 The sign hardware is great for hanging smaller items, like nameplates, room numbers, and things like that. The aluminum standoff is tiny in scale , which means it should be used for mounting panels that are also tiny. The sign support is covered in a polished finish, which means it isn't dull like a satin finish and doesn't have the high shine of chrome. Even though the hanging hardware, standoff has a more delicate appearance, it still has the high level of manufacture that other display fixtures do. 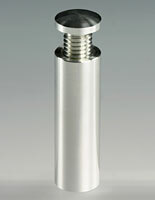 The mounting fixture is an eye-catching addition to any signage, without becoming the center of attention. 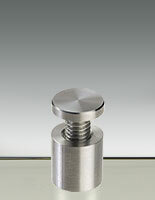 The standoff is quite simple and easy to install for use with an award. 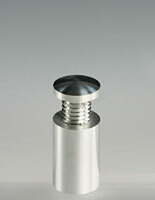 The aluminum support does require holes to be drilled in your signage that are 7/16" in diameter. The standoff has a cap that will need to be threaded through the panel and then into the wall where the rest of the fixture is houses. Then, just hand-tighten the cap onto the sign and viola, a beautiful sign has appeared. 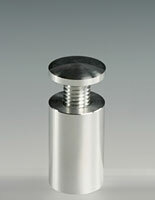 The economical standoff can mount any panel that is up to 1/4" thick safely. If the sign is any thicker, a larger mounting fixture will need to be used. Your standoff purchase will include detailed instructions about how to safely and properly mount your hardware. 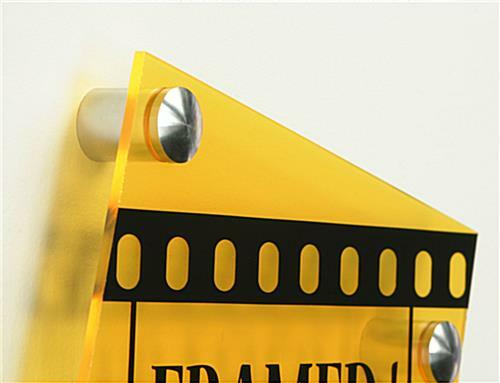 This aluminum support comes in a set of 4, the correct number for hanging a plaque. 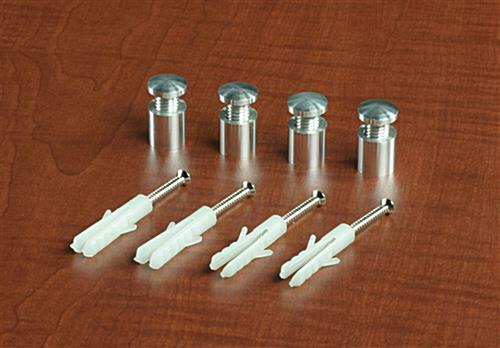 These standoffs look awesome and work very well for a variety of graphics. We love them. 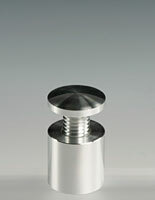 Always a good product to use to give your projects a little extra flair.